Is the regular old 2016 Corvette Z06—with its dull as dishwater 650 horsepower, 650 lb-ft of torque, and three second 0-60 mph time—just a little too “meh” for you? Do you crave something that feels a little more at home on the track? 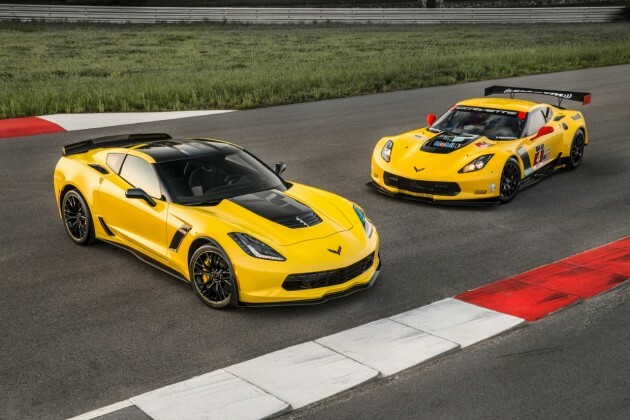 Well then, sir or madam, the 2016 Corvette Z06 C7.R Edition is for you. An homage to the Corvette Racing C7.R racecars, the C7.R Edition is available in any color you want—as long as you want black or yellow. Only 500 examples of the special edition Vette will be produced, all of them built to include the Z07 Performance Package with carbon ceramic brakes, along with a specially serialized VIN. All 500 will go on sale later this year. As you may have noticed, there’s a whole lot of graphics on this thing. But how else do you let passing motorists know that this isn’t your “average” 650 hp Corvette Z06?